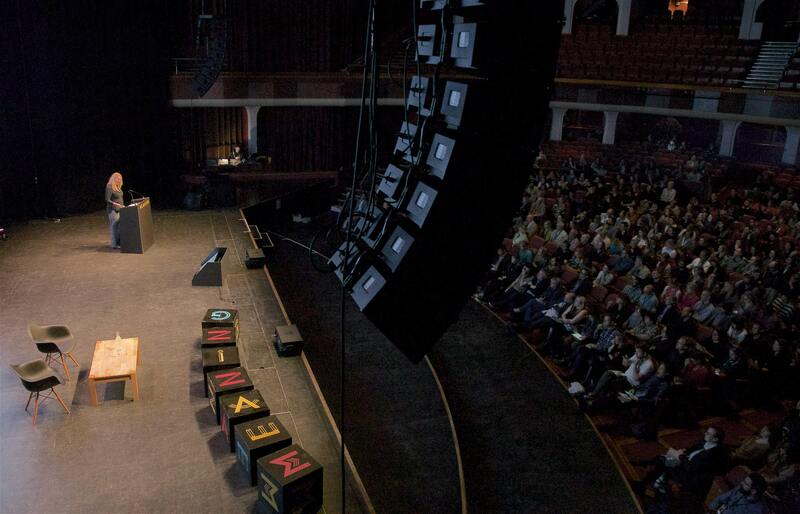 Turbulent headlines on the morning of 14 November (in the form of a domino run of Brexit-toppled MPs) provided a poignant backdrop for the gathering of 500 future-conscious minds at the Brighton Dome, who had come to hear about strategies for making sense of – and creating sense in – an often precarious world. 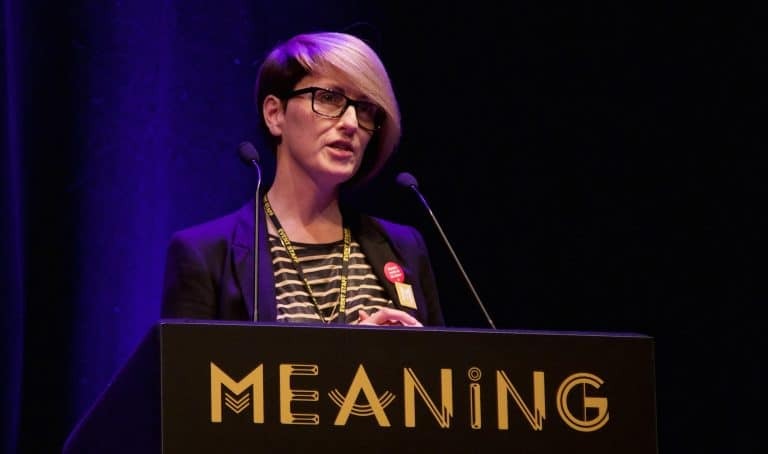 Meaning, celebrating its seventh edition, describes itself as a conference for ‘people who believe in better business’, but it is perhaps better described as an interactive forum for exploring ways of creating positive feedback loops that improve our experiences and circumstances (and those of our wider communities) – and of making these life-enhancing structures systematic and institutional. It’s a mission with a wide and powerful appeal, so unsurprisingly the conference brings together participants from diverse backgrounds and occupations to explore these ideas together, making for a day of infectious positive energy, whether listening to talks, participating in workshops, or meeting new people over coffee or the superb lunch which comes included. This year’s 11 presentations and 8 workshops (plus all-day ‘freestyle’ discussion forums in on the Mezzanine) provided a varied menu of success stories, new research, and reflections for us to incorporate in our professional and personal lives. 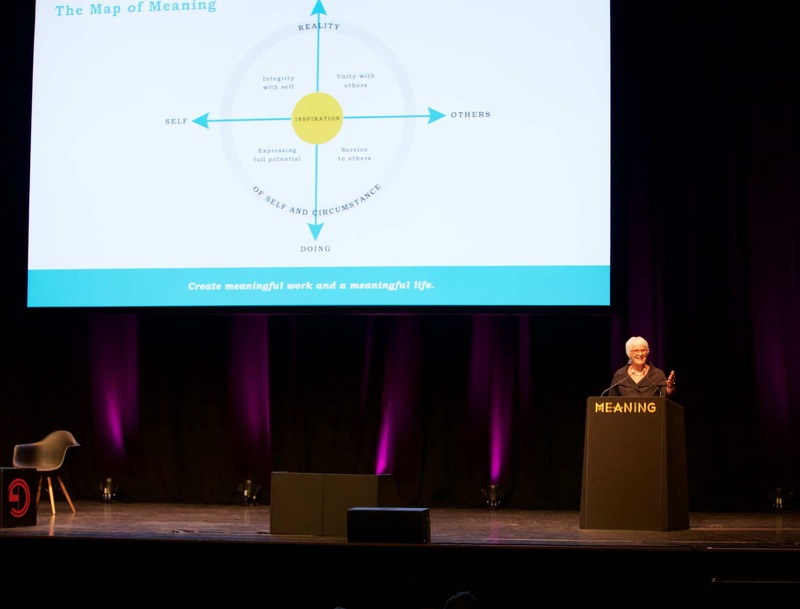 Marjolein Lips-Wiersma and Lani Morris presented the research from their new book The Map of Meaning, which describes a way to achieve harmony in work (and beyond) by striking a balance across the four ‘quadrants’ on axes of being and doing, self and others. Later in the day participants had the opportunity to translate the theory into practice in a separate workshop. 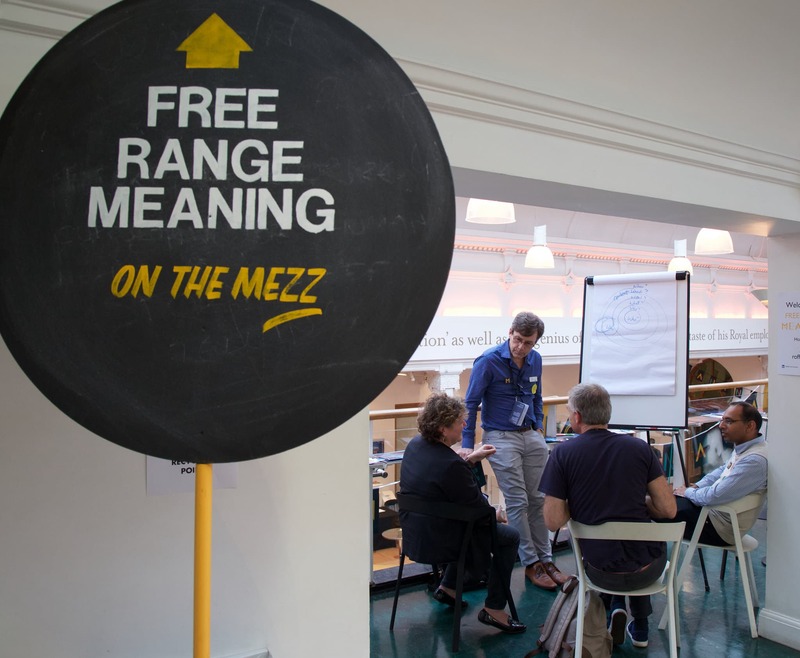 A conference like Meaning really helps people feel that they’re not alone, that there is a network of alternatives out there, a whole web of economic experiments going on. It’s not just them, toiling away in their spare bedroom. There’s actually loads of us, all interested in trying to bring about some kind of big systemic change. 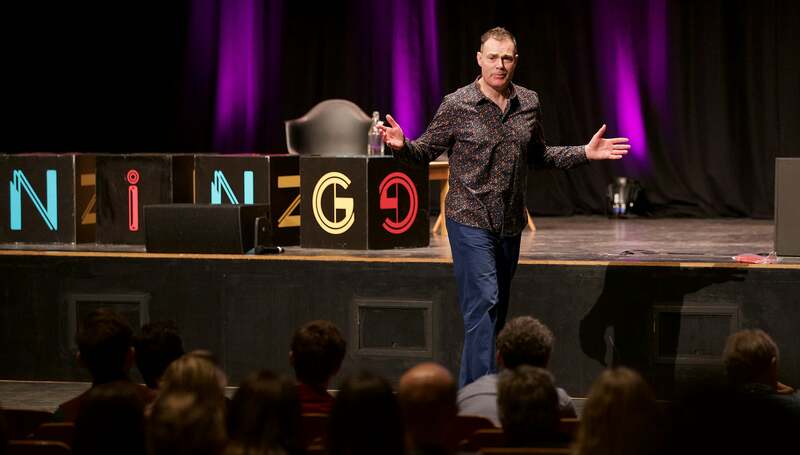 Neil Mullarkey, hosting the conference this year, presented an interactive after-lunch improv session advocating a “yes and” method of cooperation, as opposed to the (often more instinctive) “yes, but… ” style. Does this look like a no man to you? Dan McQuillan offered some cautious reflections – in the form of an extended prose poem – on the role of AI in mental health, before Poppy Jaman described her work at Mental Health First Aid, which strives to dismantle the taboos around mental health issues and make their treatment a shared, community effort. We heard from Helen Taylor from Forest Green Rovers about how they are ‘greening up football’ not only through their efforts to be sustainable (including their vegan restaurant), but also by doing their best to engage and inspire their community and other clubs. Helen is one of very few females helping shape things differently in the English Football League. 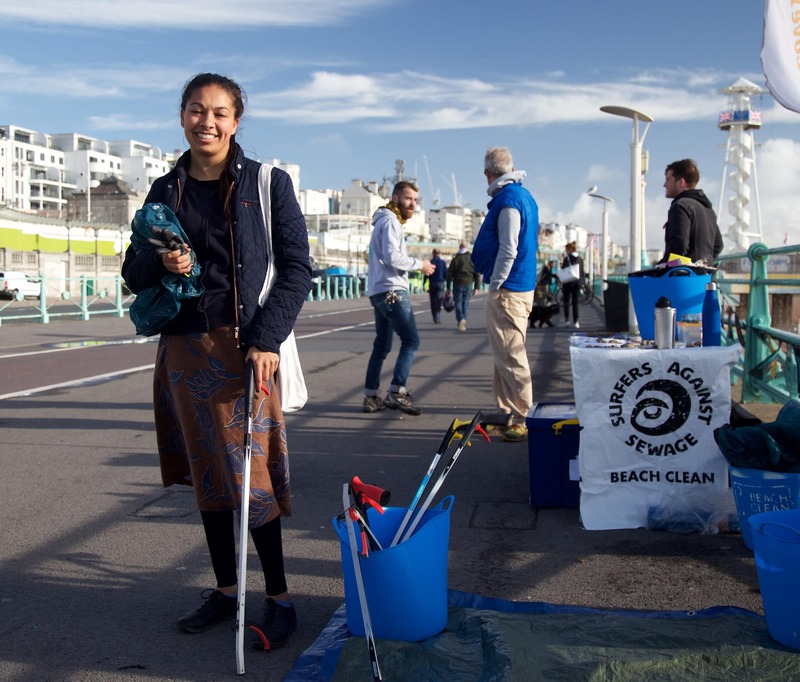 Any business, in any sector, can find its way to take a stand and make a difference. Bibi Bleekemolen described Fairphone’s trajectory from angry activists to proactive producers of the world’s only ethical, modular smartphone using Fairtrade materials. Andrew Simms introduced the Rapid Transition Alliance, an initiative to help us speed up our response to climate change. 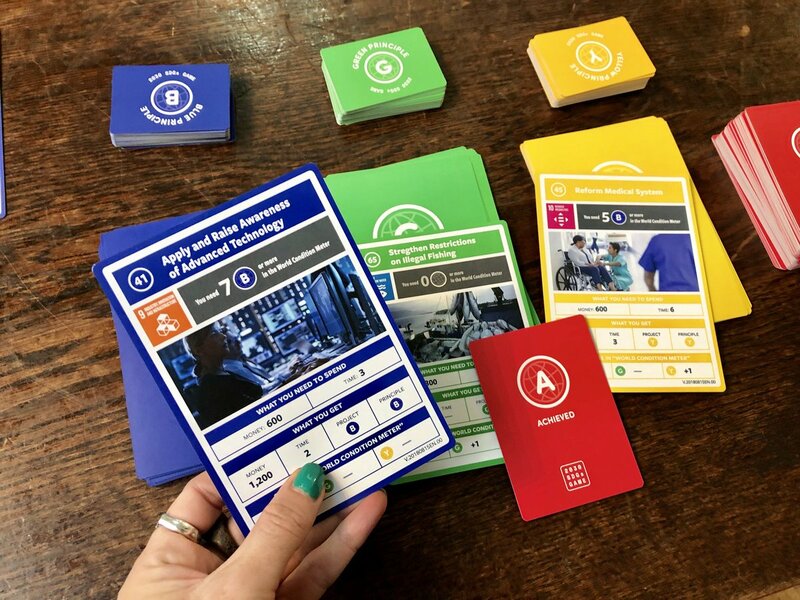 In a side room, attendants could play the 2030s Sustainable Development Goals card game, to get a better understanding of the UN’s principles for a fairer and more sustainable world. Closing the day, Atif Choudhury told the incredible story of starting Zaytoun, which collaborates with disenfranchised, besieged Palestinian communities to help them sell their olive oil in the UK. Atif believes business can be a constructive, effective way to bring prosperity and fairness to an unjust situation. Of course, the participants’ search for meaning doesn’t begin and end within the Dome’s four walls. Meaning Fringe is a series of additional events in the days before and after the workshop. 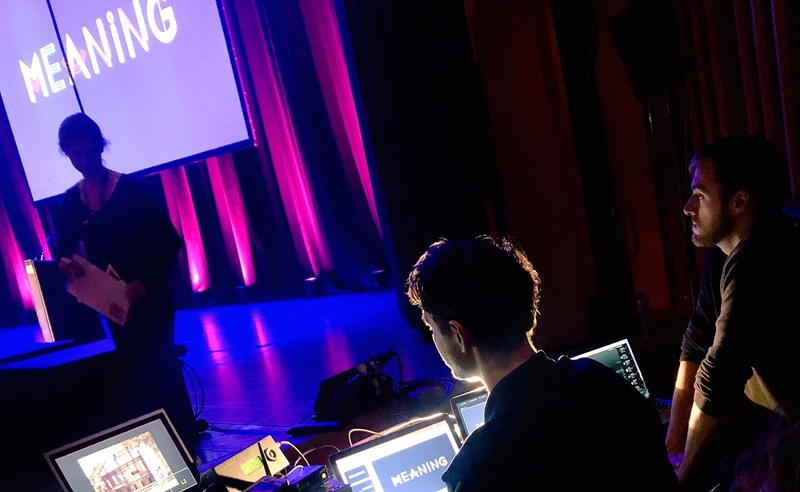 And beyond the Fringe, Meaning has succeeded in creating a community of people with similar values and aspirations, who continue to communicate and make new connections throughout the year. Many wouldn’t dream of missing an edition and the opportunity to keep the positive feedback loop going. Tickets for 2019 are already on sale. Purpose is kind of fashionable now, but actually the people here are properly keeping it real. 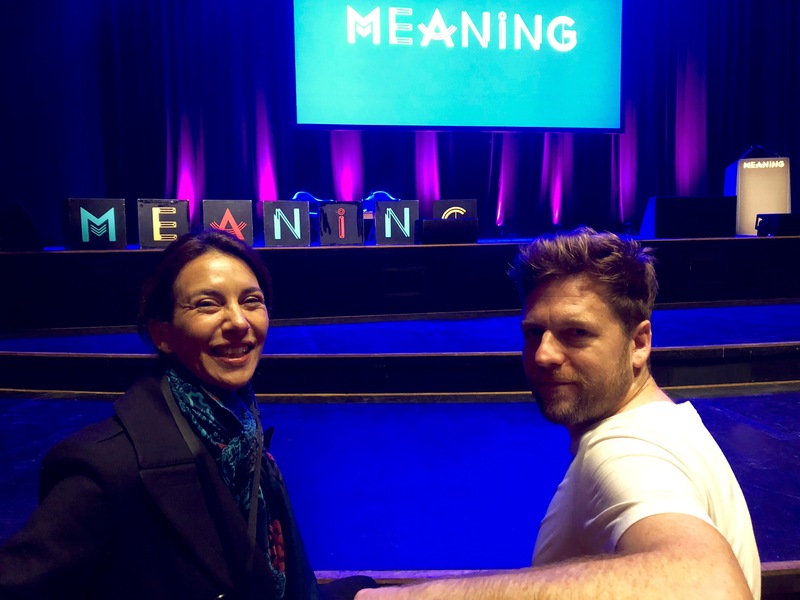 The businesses and organisations that speak at Meaning are really living their values and that’s what’s important. They’re really the people who are pushing the boundaries that are brave enough to do something different. AtlasChart ► Atlas of the Future asked Meaning Event Director Louise Ash for her favourite projects with Meaning: 10 rebels with a cause. 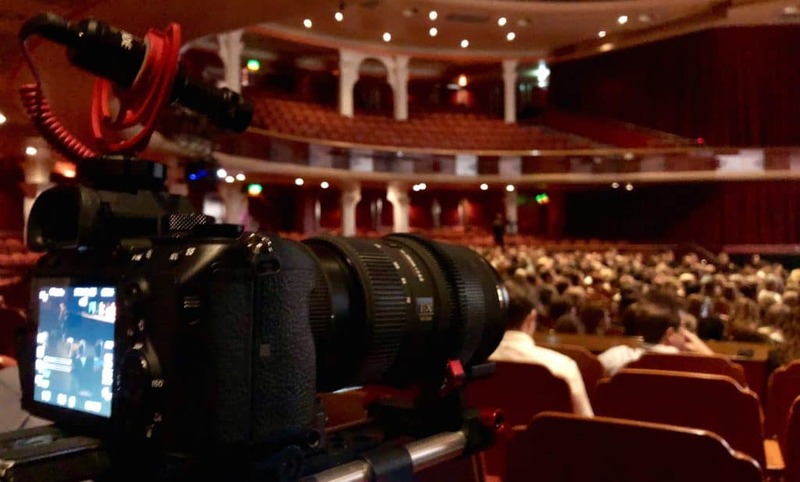 This guest post was written by Andrew Staffell, co-founder of Yes we work, a design and development company that helps editorial, cultural and social organisations to present themselves clearly and engagingly.